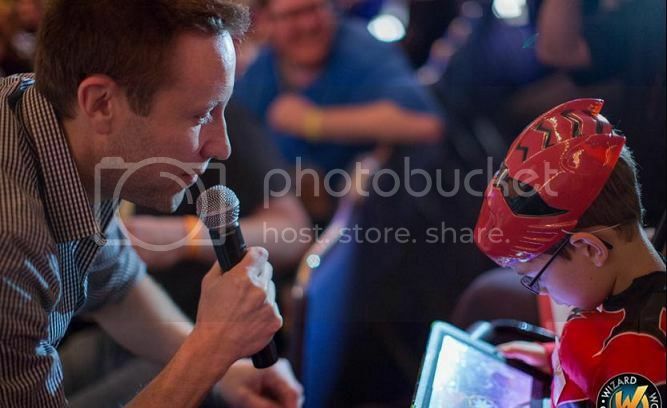 Michael went to Sacramento ComicCon this weekend and told an interviewer he recently saw Tom! Michael: "You know what’s funny? I just saw Tom Welling for the first time in a while at Seth Green’s birthday party - he had like a "prom night" birthday party - and we talked. We haven’t seen each other in a while and it was like time stopped. It was awesome. We talked for a couple of hours, talked and just laughed about stuff that went on, certain directors we didn’t like. We just had a really great time and I remember, it made me think "god, we had such a really good time working together" and it made us think wow, we had a really great time, we were very lucky. So it was a nice moment." Sitting on a guy's lap! 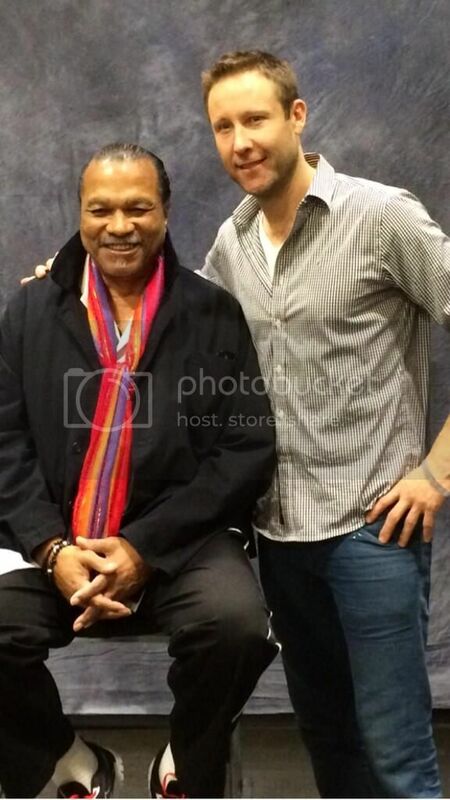 Michael tooks his own fan photo with Billy Dee Williams! His new astronaut hair is cute. I know - so adorable! I bet there was a big hug too. Love that they spent hours talking over old times, the sweethearts.